The truth is, the very things that quash desire to change are being pushed by others and getting yelled at – along with feeling that you’re misunderstood and judged, not having choices or reasons that make sense to you, and not believing in your ability to change – as detailed in the book, Beyond Addiction: How Science and Kindness Can Help People Change by psychologists from the Center for Motivation and Change. For instance, you may be concerned about your wife’s liver but she may be more motivated to quit drinking because she wants to keep her job or worries about being rejected by you. -Anne Fletcher On the other hand, they note that science suggests that people are motivated by 1) getting information without pressure, 2) having choices and reasons that make sense, 3) receiving positive feedback for taking positive steps, 4) having a sense of competence about how to go about change, and 5) feeling acknowledged and accepted “as is” – without having to do something in return. It’s important that the reasons for a particular choice make sense to the person you hope will change. For instance, you may be concerned about your wife’s liver but she may be more motivated to quit drinking because she wants to keep her job or worries about being rejected by you. As mentioned in Part 1, an approach shown in numerous studies to help family members motivate their loved one to take action, developed by Robert Meyers, Ph.D., Research Associate Professor Emeritus at the University of New Mexico’s Center on Alcoholism, Substance Abuse and Addiction is Community Reinforcement and Family Training or CRAFT. In contrast, I was able to find no research support for “family weeks” or “family nights” typically offered by U.S. addiction treatment facilities wherein participants learn about the disease of addiction, the 12 steps, and Al-Anon support groups, which are usually presented in “psycho educational” lectures as well as group discussions. While some research suggests that family members involved in Al-Anon reduce their distress and improve their coping skills, rehabs tend to favor this approach and not tell families about CRAFT, which facilitates change in loved ones and helps family members cope better. While some rehabs might argue that CRAFT was designed to get people into treatment and therefore isn’t relevant to patients who are already there, I found as I sat through family lectures in programs I visited that family members were warned about the likelihood of relapse and not offered many practical skills for what to do should this happen. I couldn’t help but think about how beneficial it would be for family members to know about CRAFT strategies should loved ones backslide. In short, CRAFT teaches family members steps they can take to support a person’s sobriety, not reinforce using alcohol or drugs, encourage alternatives to using, and enhance their own happiness. 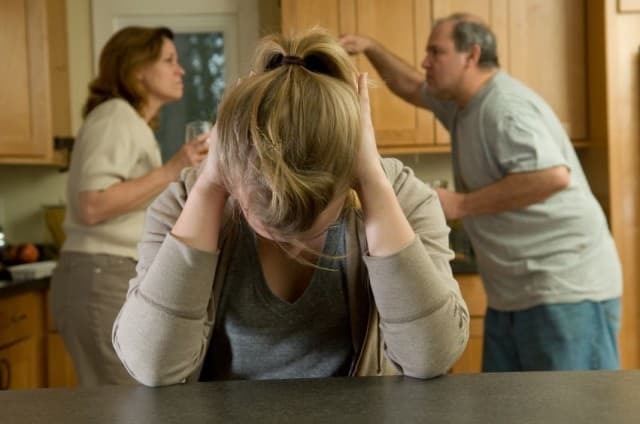 For example, in addition to what families commonly hear about not doing things to “enable” someone’s use of drugs and alcohol (such as making excuses for a missed day of work), family members are taught how to reward positive steps the addicted person takes. The couples’ young adult daughters became involved, too. Before attending a CRAFT session, they ignored their mother most of the time. But after a session with their parents and Dr. Rosengren, the daughters started asking their mom out to eat or made her dinner when they knew she wasn’t drinking. When she was drinking, they’d spend less time with her and explain why. The family’s efforts to spend more quality time with sober Susan gave her more incentive to stop. This all goes to show that you can help addicted people change and family members can take steps that motivate them to stop or lower their alcohol and/or drug use as well as to seek treatment – at the same time taking action to make their lives better. Another book that shares more about CRAFT is, Get Your Loved One Sober, co-authored by Dr. Meyers. A listing of certified CRAFT therapists will soon be available at his website: robertjmeyersphd.com. For more information about Dr. Meyers’ next professional CRAFT training (in Houston Texas on June 23, 24, & 25, 2014) contact Tammy Samour. *Names were changed to protect confidentiality.